Our company ( triple-c) is a good manufacturer of making plastic injection mold. We are presenting hereunder the process steps of our own dedicated plastic injection mold making process which we follow in our company. Engineering Analysis: Engineering analysis plays an important role in the process of making injection mold. We are having very experienced and talented technical team for engineering analysis. Engineering analysis is done with the help of latest tools and techniques available for betterment of product. The material of the mold is also metallurgical analyzed. Quotation: Once the engineering analysis is done then we quote the final quotation of the mold. Then the quotation is send to customer once the quotation is send to customer it is on the customer side to accept or reject the quotation. We do our best to get the order from customer. Purchase order receipt: If customer accepts the order then purchased order is received from the customer which is the green signal for us to move ahead for mold design and manufacturing. Mold design and drawing (CAD): This is the most important step in injection mold making process. We are having experienced and highly qualified design engineer. We use high-end design software (CAD software) for designing a mold. Firstly the design 3D model is made and after that the 2D drawing of the model is printed for better understanding the dimensions of mold. We focus on geometric dimensions and tolerances (GD&T) for accurate drawing of mold, Mold structure, cooling system of mold etc. Manufacturing process planning (CAM): After designing the mold in software now it is the actual manufacturing of mold comes in. the manufacturing of the mold is done according to the drawing of the model. The requirement planning is done according to the drawing sheet. For us the most important point in manufacturing process planning is the selection of machines. Once the machine is selected by our engineers then the programmer of that particular machine, programs the input as per the design requirements. This is done with the help of high-end software for manufacturing. Mold production: Once the manufacturing process planning is completed. Then the mold production is done. Production of mold is done under supervision of our senior engineers. The quality and accuracy of mold is the priority in our production system. Trial shot: After producing a mold the trial shot is done to check whether the mold meets all the design requirement of the plastic product. Measure and control of plastic part: After taking trial shots. Inspection of the mold is done and The control measures of the plastic part is done if any defect or fault occurs, it is corrected by taking required control measure. In this way our process becomes robust and best quality of mold is manufactured. 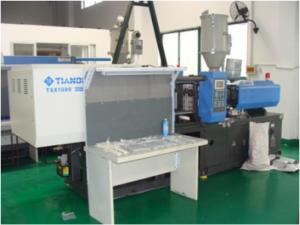 Mold finish and delivery: At last the mold is finished on the injection mold machine. coloring and marking is done and the mold is delivered to the customer. How do we – a Chinese manufacturer, and a mold maker – make an injection mold? First of all we need to design a mold in 3d cad, so we need information of the part that needs to be molded. This includes Parts 3d cad file, PART material , and part quantities. The part or component will be analyzed if it is feasible for production; we use our own standard guidelines. 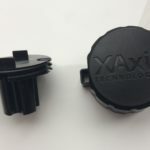 The to be injection molded part determines the simplicity of the mold: eg if there are no under cuts the mold will be of the a simple open -close design type, if the product has an external undercut the mold has to have lateral moving elements to demold. These elements are splits, core pullers or sliders .